BONOMI INDUSTRIES is a proud sponsor of “I bambini delle fate”, a nonprofit organization dedicated to creating awareness and support for social inclusion through fundraising for families with autism and other special needs children. Since 2005 this organization has been developing projects aimed at improving the daily life of many families that face the challenge of autism, Asperger’s syndrome and other disabilities though the contributions of active support groups throughout Italy. In cooperation with the Hospital “Spedali Civili” in Brescia, BONOMI INDUSTRIES is sponsor of a project with the aim to recover and restructure a medical clinic in the heart of the city and start-up a course in order to teach to parents how to communicate with their own children. 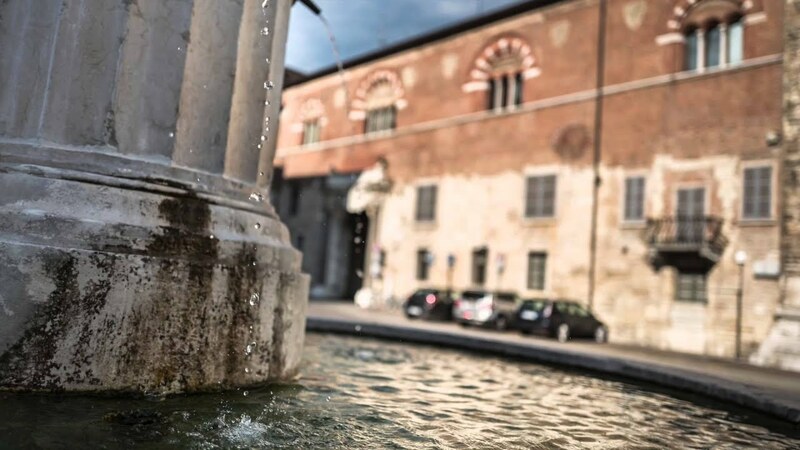 We are proud to promote our “Made in Italy” and bring the cultural and artistic heritage of Brescia to the knowledge of countless people across five continents. These works of art represent collective assets of immeasurable value and it is the duty of all to preserve them and allow future generations the chance to appreciate them.We are also proud of our own company history as described on our website. It is the story of our family. As it often happens in Brescia, there’s not a clear distinction between company and family because time devoted to one is at the same time dedicated to the future of the second and the time devoted to the family is also used for company development. It may be for this reason that the youngest generation of the Bonomi family, works and spends its holidays abroad in full harmony with the international vocation of BONOMI INDUSTRIES whose products are exported at a rate above 99%. BONOMI INDUSTRIES cooperates in the promotion of Brescia’s culture and art by adopting “The Palazzo Broletto”, one of the finest town halls in Lombardy, home of the medieval lords ruling over the city and that now is the seat of the Provincial Administration, located between Via Mazzini and Piazza Paolo VI. The Broletto is an architectural gem that, although modified and restored, largely retains its original appearance. 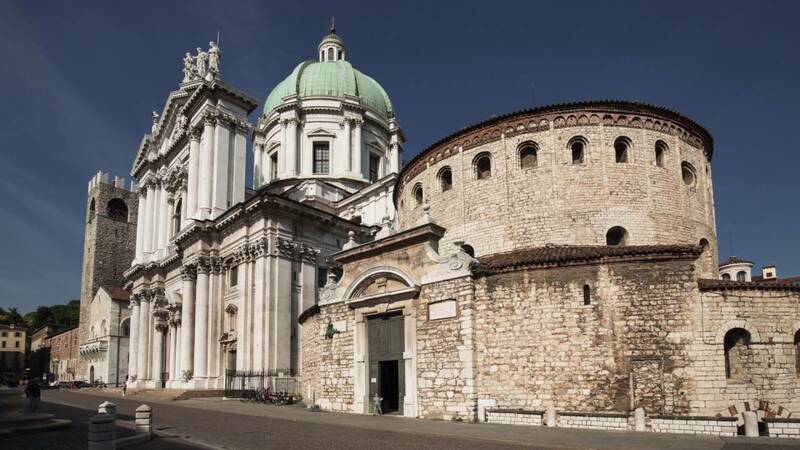 BONOMI INDUSTRIES is excited to continue its commitment in supporting historic monuments in the city of Brescia by adopting the Old Cathedral also locally known as the “Rotonda”. This historic monument is one of the greatest examples of circular Romanesque architecture in Italy dedicated to the Assumption of the Virgin. It was built between the fifth and sixth century and stands on the ruins of the early Christian basilica of “Santa Maria Maggiore de Dom”. Our company will once again have the great honor of being represented on one of the most symbolic buildings of the city. This is another unique marketing opportunity that allows BONOMI INDUSTRIES to contribute to the promotion of local culture expressing civil responsibility. BONOMI INDUSTRIES is a sponsor of a new vehicle for disabled people in force to the municipal of Mazzano. BONOMI INDUSTRIES proudly supports the project “CD Risonanze” of the association “Mondo Bambino”. An association founded in 2000 by a group of parents to support their children at the Castel Mella kindergarten school and all children with no distinction of race, religion and culture. The association collaborates with educational institutions, local associations and the “Children’s Hospital” of Brescia to help children with medical issues and their families. Many initiatives support this cause including the project “CD Risonanze” that produces a CD with songs from the most popular musicals performed by students and ex-students of Simona Nolli, Director of Mondo Bambino Choir and also singing teacher at the local musical school in Castel Mella. All proceeds from the CD project will go to the Children’s Hospital in Brescia in order to support the operating of the new MRI equipment by a pediatric radiologist specialist.